Having grown up in New Jersey Dr. Faisal Mahmood is proud to be able to offer his spine & orthopaedic services in his home state.. Moreover, Dr. Mahmood continues to participate in spine and orthopaedic academic conferences as he is a strong proponent of keeping abreast with the latest advancements in the field. He is a member of the North American Spine Society, New Jersey Orthopaedic Association, and also mentors orthopaedic residents at St. Joseph’s Regional Medical Center/Seton Hall University. Dr. Mahmood is Board Certified in Orthopedic Surgery & Spine Surgery. 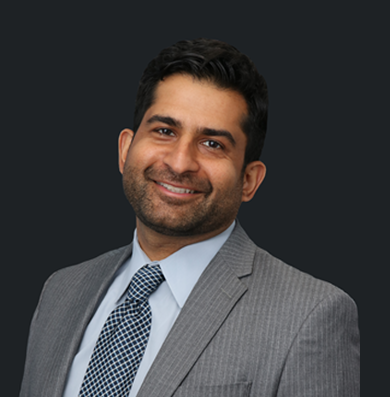 In his free time Dr. Mahmood enjoys an active lifestyle, traveling, the outdoors, tracking cars, and spending time with his family and wife and young son.Having grown up in New Jersey Dr. Faisal Mahmood is proud to be able to offer his spine & orthopaedic services in his home state.. In his free time Dr. Mahmood enjoys an active lifestyle, traveling, the outdoors, tracking cars, and spending time with his family and wife and young son.